2017 - $4,200 donated !!! 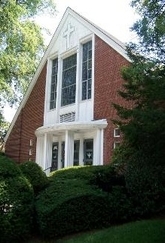 The first Sunday of each month is Food Pantry Sunday. 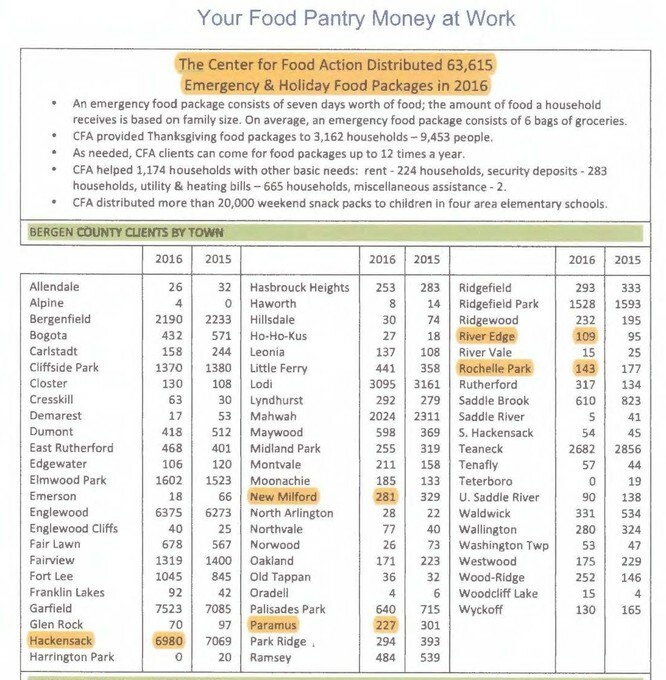 We receive monetary donations to support community food pantries, including the Center for Food Action. 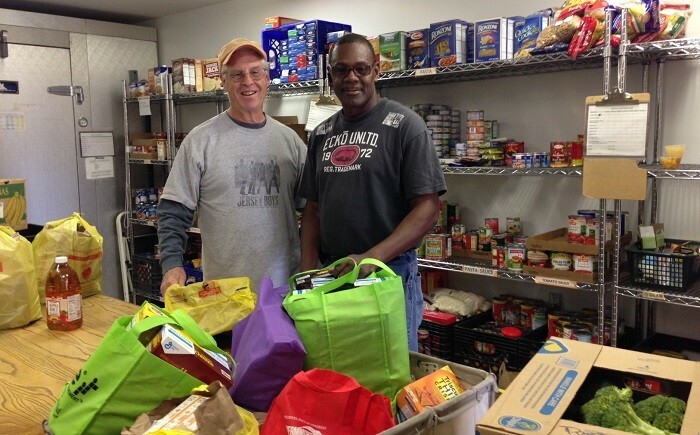 Through this ministry, we raise thousands of dollars every year to help ease hunger in our community. Where did your donations go in 2016? Well stocked as staff and volunteers prepare for the Thanksgiving distribution. Note the almost-empty shelves, unfortunately typical during the summer months. 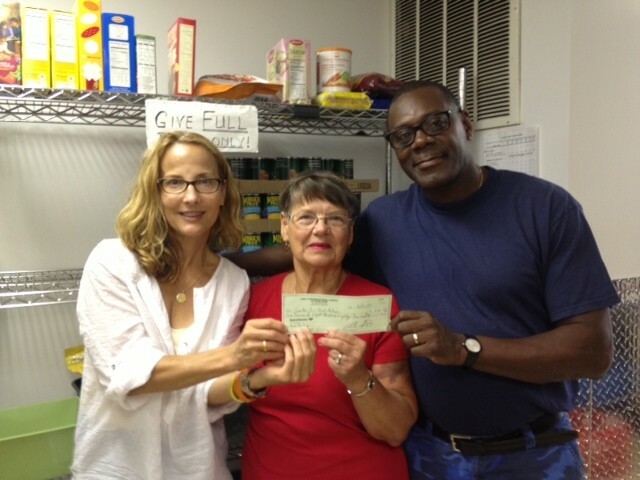 Barbara Wieboldt, member of the Mission Team, presenting a check to staff members of the Center for Food Action in Englewood, New Jersey in July.